The losses of the US-based company increased during the last quarter of 2015 to USD 320 million. Over the entire year, they added up to around USD 980 million. Whether you choose GAAP (the default rulebook) or the visually more enticing non-GAAP accounting standards (with the latter, the result per share seems to improve “cosmetically”) is not the main question. The larger issue is whether the trend points to a balanced result or even a profit. That was now the plan for 2016, as CEO Elon Musk announced. The currently slow pace of production of the new Model X is said to increase gradually but steadily. The forecast was at 1,000 units per week. Did CEO Musk profit indirectly from the shares’ ups and downs? Entirely in passing, there was this Reuters news piece, according to which company founder Musk had pledged more than seven million shares from his around 25% stake in the company as collateral for a “private loan” of USD 1.7 billion (that must have happened when the stock price was around USD 240). Compared to that, his headline-grabbing contribution of tens of millions to the last capital increase seems almost like a forgettable incident. In my opinion, both leave a bitter aftertaste, as loan collateral in form of shares can be considered a temporary partial liquidation. The ones providing the loans, the banks – at least, that is my assumption (no guarantee it really happened that way) – may have safeguarded by hedging. Because the share price has meanwhile dropped by more than 40%, I’m wondering whether Musk or only the banks embarked on this journey. If only the banks were involved, they may urge for more collateral, as the 1.7 billion loan is now secured to a much smaller degree. Or they may have been able to secure the loan by buying shares after the stock virtually crashed. What looks like the most probably scenario to me is that shares were basically sold short because the loan amount matched almost exactly the stock price drop of the shares secured as collateral. In short: A smoke screen that is easy to see through but can be classified as a “mental game.” Meanwhile, the CEO has profited – indirectly – or he has safeguarded, at least that is how I see it. He himself rated his company performance at previous stock prices of around USD 250 as “sufficient” – appropriate to the situation. News that again propelled the strongly weakened stock in (a calculated?) response to the top focused on the potential of the upcoming Model 3. The announcement that the market-ready Model 3 (allegedly priced at USD 35,000 before subsidies) would be presented at the end of March 2016 and would be available for pre-order – by advance payment – has recently led to strong growth in share prices to again USD 230 (after the shares had been quoted at as low as USD 140). Tesla continues to rely on word-of-mouth and pays, in my opinion (but without guarantee), existing customers USD 1,000 to get new consumers on board and offers another USD 1,000 to these new buyers (source: Seeking Alpha). I have great doubts about the viability of this strategy in creating sufficient demand. I will go even further and say that I believe it is necessary for Tesla to run large advertising campaigns to present the new models. So far, the company has refrained from doing just that because there were enough first movers. A glance at the competition and their huge ad budgets means that Tesla would have to dig deep into its pockets, something that seems to have been neglected by analyst estimates. We would be talking here not about a few million, but about tens or hundreds of millions. Will the Gigafactory be downsized? There are a number of opinion pieces on the Gigafactory for lithium-ion batteries which say that every milestone took longer to achieve than had been expected, starting with the number of employees (one of the basic requirements by the state of Nevada to grant considerable tax cuts) to the ramp-up of production (as reported previously, the lithium supply seems to be not that easily secured). 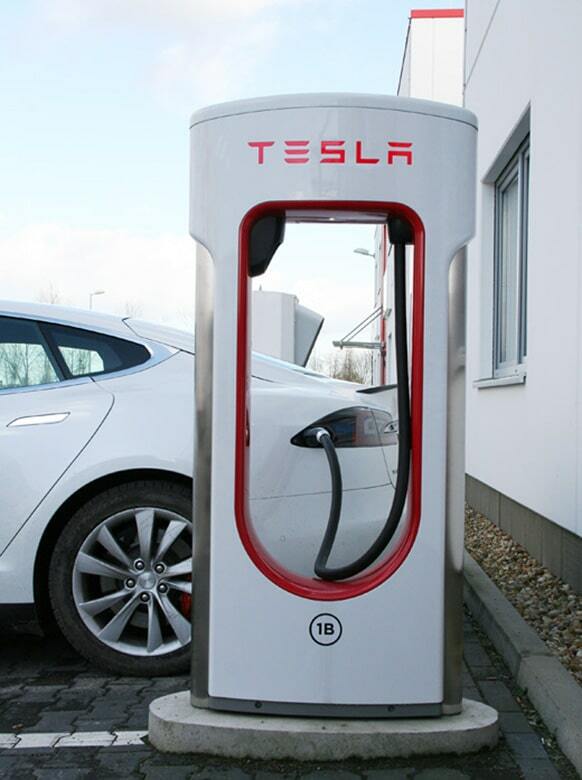 Regarding batteries – which, of course, play a vital part in large-scale production – rumors are that Tesla will favor a temporary solution of continuing to order cells from Asia and at the same time possibly reduce the very capital-intensive investment in the megafactory or extend the period of investment, in order to retain more liquidity. Surprisingly, Tesla had meanwhile gotten the backing of Daimler head Dieter Zetsche, who reversed his stance on batteries, which he said were better than previously thought because it had been possible to reduce charging times and increase the mileage (500 kilometers are considered achievable). Daimler is currently building its own battery factory for EUR 500 million and has recently ended its cooperation with Tesla, which means that Tesla will certainly not receive any more battery orders from the German carmaker. Also surprising was Zetsche’s negative view of fuel cells: He considered the hydrogen infrastructure to be insufficient. I have a different perspective on it, as I believe that the market for combinations of fuel cell and batteries will continue to grow the more H2 filling stations there are. Both electric transportation solutions clearly exist side by side. There is no either-or, as the use of both types of electric cars depends on many factors (purpose, range, price, etc.). At the end of 2017, Tesla intends to enter the arena with a car facing considerable competition, so that the grandiose targets of selling several hundred thousand units by 2020 have to be taken with a grain of salt – also because the production would require a considerable amount of “fresh” capital. Additionally, there is the question of when the Gigafactory will start churning out batteries and under which conditions. Tesla’s sister company SolarCity (where Musk’s are top managers) received a battery order of around USD 15 million for a project in Hawaii – which leaves me wondering about the company’s true motives. In my opinion, the temporary but dramatic stock price tumble has not yet reached its end. The shares will continue to fluctuate based on how the company will be evaluated over the coming 12 to 18 months. My recommendation to rely on selling options, or even short selling (only for experienced investors) or book profits, has fully paid off. The share rebound is still in full force, which netted the company over USD 10 billion and put its market capitalization at above USD 30 billion. Tesla must now prove that it doesn’t have to rely on further capital increases and can stand on its own. Some good news will come in from time to time and even periods of higher-than-usual evaluation (profits from short selling through returning shares to cover the short position). But there are reasons to be cautious in the face of a USD 12 billion loss (when shares reached their lowest point) in market capitalization after only two months into the new year. Many Buy-side analysts will need to “rethink” their assessment method and their analyses are based on sometimes hardly robust calculation models. The competition isn’t taking a nap either. Companies like GM are said to own battery designs that could surpass Tesla‘s (in terms of weight, costs, range, etc.). This year seems to be crucial to many businesses – in a positive as well as (and especially) in a negative sense.